On this ChessBase-DVD a team of experts gets to the bottom of Capablanca’s game. Niklas Huschenbeth presents the openings of the third world champion. Oliver Reeh has assembled a select choice of little combinations (Capablanca’s famous “petite combinaison”) and prepared them in interactive format. Mihail Marin looks into Capablanca’s strategic performances and finds astonishing parallels in the games of Bobby Fischer. Our end game expert Karsten Müller had a multiplicity of examples from which to choose, since Capablanca liked to liquidate into an endgame, being well aware of his particular strength and creating numerous masterpieces of the art of the endgame. He was a child prodigy and he is surrounded by legends. In his best times he was considered to be unbeatable and by many he was reckoned to be the greatest chess talent of all time: Jose Raul Capablanca, born 1888 in Havana. At the age of 13 he became Cuban champion; in 1909 he sensationally defeated Marshall by 8:1 and was thus catapulted into the world elite. It was only after some time, since only sparse amounts of information made it across the pond, that in 1911 Capablanca achieved well-deserved recognition by leaving the elite of world chess trailing in his wake in San Sebastian. It would however take another 10 years before the Cuban defeated the reigning world champion Emanuel Lasker in their match and wore the crown himself. 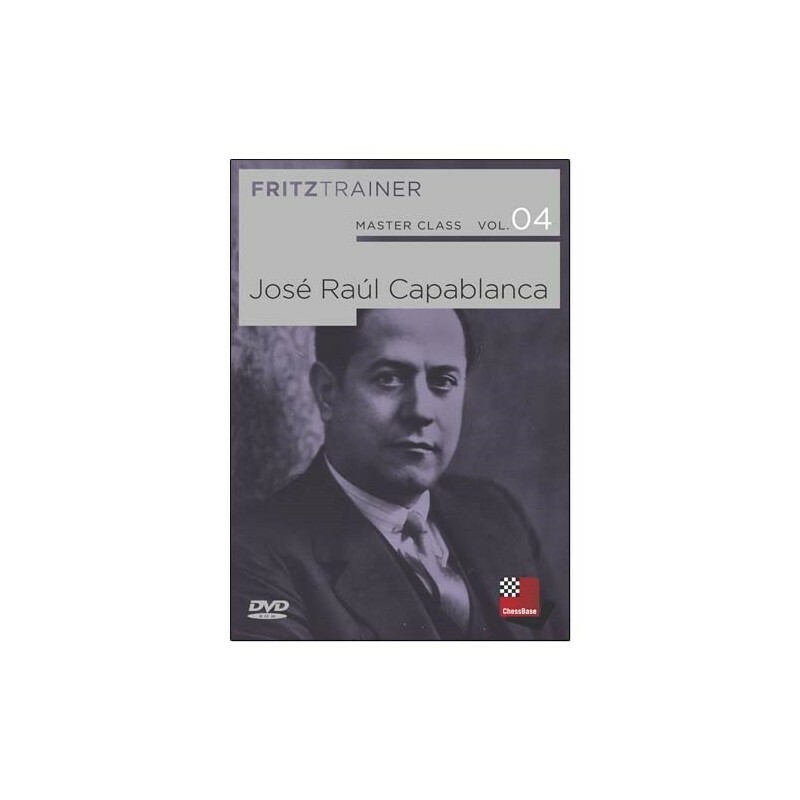 On this ChessBase-DVD a team of experts gets to the bottom of Capablanca’s game. Niklas Huschenbeth presents the openings of the third world champion. Oliver Reeh has assembled a select choice of little combinations (Capablanca’s famous “petite combinaison”) and prepared them in interactive format. Mihail Marin looks into Capablanca’s strategic performances and finds astonishing parallels in the games of Bobby Fischer. Our end game expert Karsten Müller had a multiplicity of examples from which to choose, since Capablanca liked to liquidate into an endgame, being well aware of his particular strength and creating numerous masterpieces of the art of the endgame. 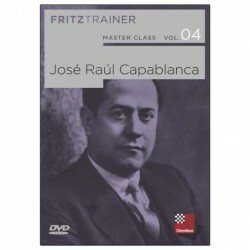 The DVD also contains all of Capablanca’s games, many of them annotated and is rounded off by a biographical section, tables and both a tactics and an endgame database.